Get an instant quote for your Cardiff taxi. 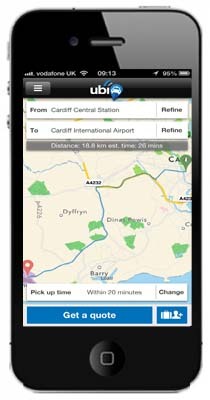 Book in a few clicks when you need taxis in or around the city of Cardiff. Cardiff City is the largest city in Wales and an immensely popular tourist destination, with 18.3 million visitors in 2010. As with many of the U.K.’s largest cities, Cardiff was a relatively small settlement until the Industrial Revolution when it became a major port for the transportation of coal from rich seams in the Welsh hillsides. Modern Cardiff is a pleasing mix of ancient buildings like Cardiff Castle and feats of modern architecture such as the Wales Millennium Centre and is split into 29 electoral wards which includes the rather wonderfully named Splott. 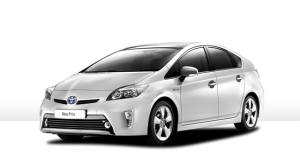 ubiCabs offers an excellent affordable minicab service in the Cardiff area at very competitive fares. For example, an advanced booking can be as low as thirty two pounds from Cardiff Central Station to Cardiff Airport. Get a free instant quote and book either online here or download our iPhone or android app. Ever wanted a Cardiff taxi and found your wallet somewhat sparsely populated? No more searching for cash points. We accept cash, card and account for payments. ubiCabs’ security is top notch too, we use 128 Bit 3D security for all our transactions. Book your taxi to the airport and pay with confidence however you like.